Thinking about heading to a state school? Here are some good reasons why you should. The decision to pursue a college degree is one of the most significant moments in a person’s life. There are endless reasons students choose to do so: you may wish to enhance your marketability to future employers, or you may aspire to improve the human condition and the environment around us, making an impact through your contributions to society. We find ourselves in one of the most competitive global economies in human history; therefore, you are making a wise decision to better position yourself for the future by obtaining a college degree. Your next steps are finding universities where you feel at home and submitting your applications. And your opportunities for higher education are plentiful. Of course, with more than 4,700 two- and four-year colleges and universities in the United States, each with its own unique character, it can be a bit overwhelming! As you will find, you will quickly reduce the choices to those that fit you best by answering a few key questions: Do you want a large university or small college? Do you want to attend college close to home or far away? Does a particular geographic region suit you best? Does the university offer the academic program(s) you are interested in studying? Another defining characteristic is the public or private control of a college or university. Public institutions are founded and funded by local state government with a mission in mind. Central to the mission of a public institution is undergraduate education. Commitments to research, outreach, and engagement augment undergraduate teaching and enhance the student experience. Public universities are economic drivers in the state where they are located. As the global economy and the jobs in it continue to evolve, your state will often channel resources to fill critical need. For example, the state of Connecticut recently enacted the Next Generation Connecticut Initiative. It has invested $1.7 billion in the University of Connecticut (UConn) for STEM (science, technology, engineering, and math) disciplines. This investment is designed to transform the University through the hiring of new faculty and the construction of new research and classroom facilities. The investment is founded on increasing the number of graduates in STEM fields over the next 10 years, which ultimately contributes back to the local economy by attracting cutting-edge companies to bring more high-paying jobs to Connecticut. Such initiatives help attract to public universities the very best professors in the world to study and contribute to the field for which they have dedicated their entire careers. The benefit to the students, of course, are opportunities to learn directly from the brightest minds in their field and obtain an internship or research assistantship working side-by-side with faculty who are intent on pushing the boundaries for discovery in their discipline. There is nothing more exciting for them than sharing their latest findings with the world. While many are working with governments and businesses to incorporate research into daily society, their very first audiences with whom they share their discoveries are the undergraduate students in their classrooms. You might bear witness to the next great sensation. Another strength of public higher education is access and affordability. As your state’s public university is funded by your state government, the cost of attending your home state institution is subsidized by your government, which reduces costs of pursuing education. While attending an out-of-state public university will carry a higher price tag, competitive financial aid programs, which are discussed below, work to make this option more affordable. State governments also provide oversight of public universities, ensuring accountability for student outcomes, affordability, and access. In other words, leaders and stakeholders are working to ensure you have the best experience possible. Beyond low initial cost, a public university also offers a variety of financial aid and scholarships. Financial aid is intended to provide supplemental monetary support to students with limited resources, often referred to as “financial need.” Financial aid will come in the form of grants, loans, or work-study. Grants refer to free money and do not require repayment. Loans do require repayment but are most often offered by the government at a low-interest rate with favorable repayment terms. Work-study allows students to qualify for on-campus employment, for which wages are directed back to a student’s university bill to reduce cost. Scholarships are offered to students who demonstrate remarkable achievement or ability that the university deems worthy of recognition. For example, my spouse was valedictorian from an out-of-state high school and was an Engineering major. In the end, it was more affordable to attend our alma mater than it was to attend the state university in her home state. As the valedictorian of her class, and with incredible community service and activities on her résumé, the university was investing in her for all her potential contributions to the institution during and after her enrollment. The matter of financial aid and scholarships also raises an important consumer point for all students to consider. If you are comparing universities on price, be certain to consider only the “net cost” of attending—that is the total cost of attending (tuition, fees, and room and board), then deduct any scholarships and grants from the cost to arrive at net price. When comparing price, it is tempting for a student and their family to be drawn by substantially valued scholarship awards from universities, when the lowest cost option may be another alternative. Universities are required to provide you a “Financial Aid Shopping Sheet,” which provides this information for you, so be certain to ask! You may have individuals who advise you in your college selection process who would suggest that public universities are more impersonal, where you risk becoming a number—a face in a sea of students. This is hardly the case. The authentic experience of a student at a public university is one of unlimited opportunities to engage and define your undergraduate experience. Students at public universities can connect through the hundreds of student organizations that are commonly found at these institutions. In their student-centric spirit, public universities allow students to start their own organizations and in some cases even provide funding for their activities. a public university. Students also take on more serious initiatives and causes through activities that engage them locally and globally. As a graduate of a public university myself, I participated in activities such as the intramural rodeo, student government, and intramural football in addition to being an orientation leader—all defining activities during my college years. In all, these opportunities provide outlets for students to make a difference, customize their undergraduate experience, network with fellow students, and master important skills that cannot be obtained from a desk in a lecture hall. At public universities across America, you will encounter students who represent a cross-section of humanity in a global sense. Your peers will come from different cultures and ethnicities, from the city and the farm, and from locations on the planet where you have never been. Exchanging intellectual ideas and socializing with students who are different from yourself is critical in developing a world-view and instrumental in learning to approach challenges from a fresh perspective. The opportunities to broaden your view through your peers abound at America’s public universities. 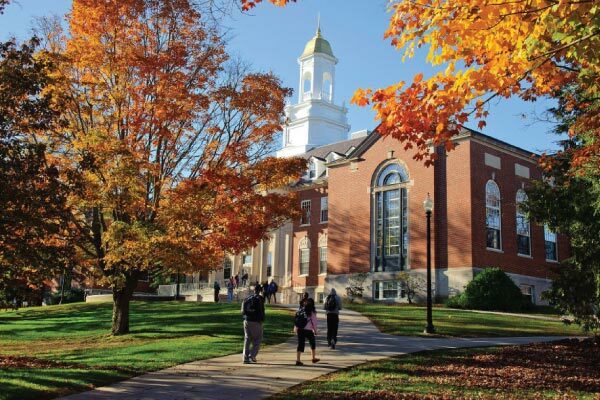 As a prospective college student, if you are searching for a university with a founding principle of contributing to society and an emphasis on undergraduate education, which cultivates an environment for students from vastly diverse backgrounds, then a public university will likely make a good fit for your next four years!